Katsuhiro Otomo's high acclaimed original cyber-punk comic contained six volumes and is set in a post-apocalyptic Neo-Tokyo. Warner Brothers will however set the film here in the Untied States in a rebulit New Manhattan. The update will span two films having three updated volumes within each film. The script was penned by Gary Whitta, who also wrote The Book of Eli. Mark Fergus and Hawk Ostby (Iron Man and Children of Men) also have a part in scripting "Akira." "Akira" would not be the Hughes brothers first attempt at a comic book property. Allen and Albert directed the 2001 film From Hell which was based off Alan Moore's graphic novel of the same name. The Hughes brothers have shown they have a stylized eye in both From Hell and The Book of Eli leaving WB feeling they could bring the right look to the magna story. My initial reaction to these films has been very hesitant. I love Otomo's original magna along with the 1988 animated film and remain fairly weary of a live-action adaptation. 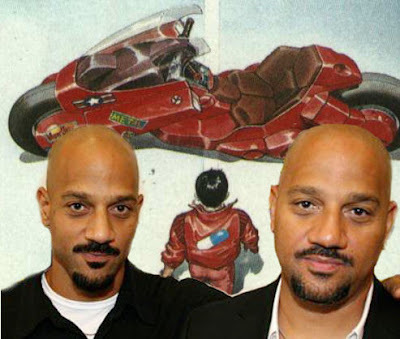 I have to the say that the potential of the Hughes brothers taking on "Akira" is a little bit intriguing. I really do love Albert's eye. I can't say enough positive things about the look of all of their movies, especially the stylized one's. On the other hand, I have always had a few reservations about their character development. I'm not sold on this project just yet, but it does have a few key components that could prove to do justice to the source material.